A journey specially dedicated to the religious and holy sites is termed as a pilgrimage. 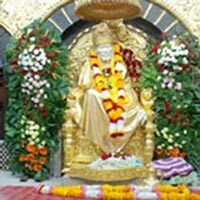 We have designed special Pilgrimage Tour packages for the devotees. With due respect to every religion, we have designed different Pilgrimage Tour packages that includes visit to well-known temples, churches, mosque, gurdwaras and various other religious structures around the world. We undertake the responsibility of food, transportation, accommodation, sight-visit and a professional tour guide. Explore the renowned religious sites like Rishikesh, Tirupati, Shirdi, Mahabalipuram, Kailash Mukthinath, Varanasi, Haridwar and others with our exceptional tour packages. So, plan out a Pilgrimage Tour for a spiritual bliss and mental peace.